The Deluxe Double Take-Down Shotgun Case will securely carry a shotgun that has been broken down. A zippered pocket on the front of the inside and an open pocket on the back of the inside hold the components in place. A 3/8" foam divider keeps them separated. Outside protection is provided by 1/2" high density foam on the inside and a plastic stiffener on the outside. The heavy duty zipper is on three sides and allows the case to open up flat. 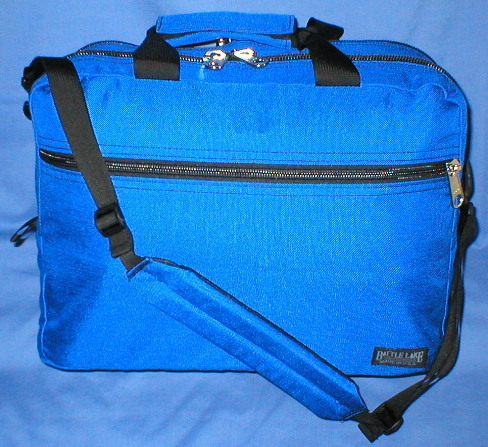 There is an 3-D outside storage pocket, carrying handles, shoulder strap attachment points and end haul/hanging loops. All in all, this provide a lightweight, durable case that provides wonderful protection in a compact case. 1/2" High Density Foam Padding. 3/8" High Density Foam Divider. Plastic Stiffener. Webrings to Attach Shoulder Strap. 1" Handles. End Haul Loops/Hanging Straps. Outside Pocket. Quick Release Security Strap. Silent Zipper Pulls. 1000 Denier Cordura Outer. 420 Denier Nylon Packcloth lining. #8, #9 and #10 Heavy Duty YKK Zippers. Double Stitched and Bound Seams.